Kyoto … a two hour journey from Tokyo on the Shinkansen (bullet train) was beautiful. Less hectic than Tokyo and steeped in history, The original Imperial capital. However, I’m presenting today one of my favourite pictures from the trip. This place was huge and we walked the length of this particular covered street. 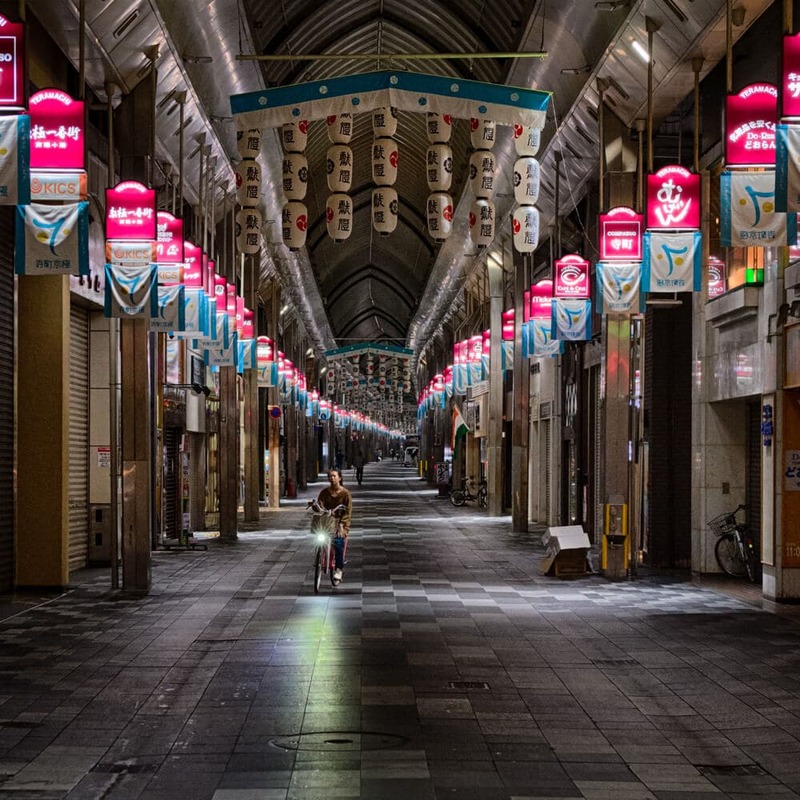 During the day we sampled local foods in the Nishiki food market … like the picture above but packed with food shops. 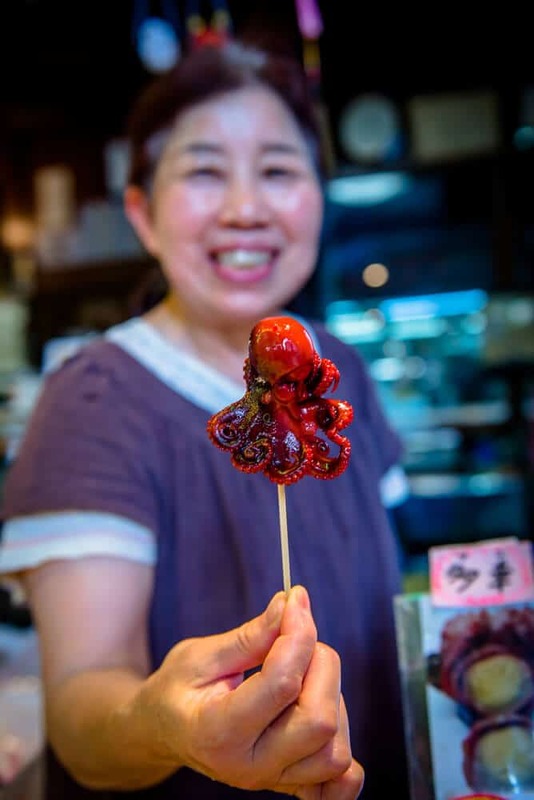 I sampled this delicious grilled octopus on a stick … the head had been stuffed with a quail egg and it was utterly delicious … would you try one? Marinated grilled octopus stuffed with quail egg on stick anyone? My vegie self would pass on the octopus. The colour is amazing too. I do love me a market. And would have revelled in that one.